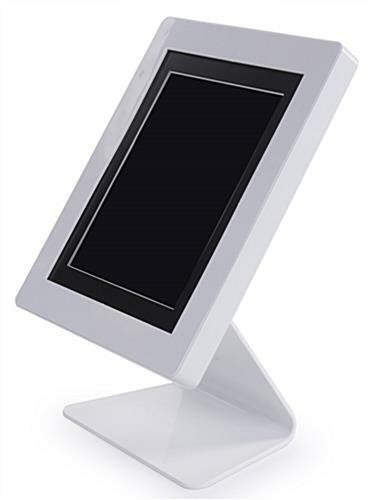 Created for Apple® Air, Generations 2-4, & 10.1" Samsung® Tablets. Works in Vertical or Horizontal Orientation. 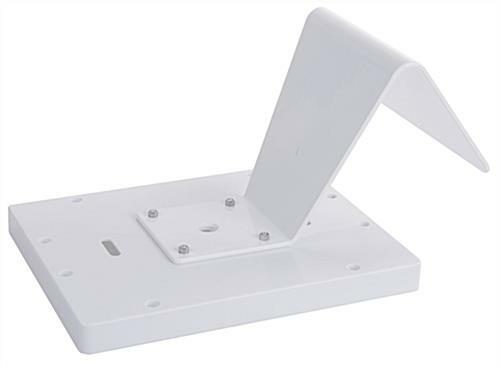 Aluminum & Plastic Construction for Lightweight Mount. 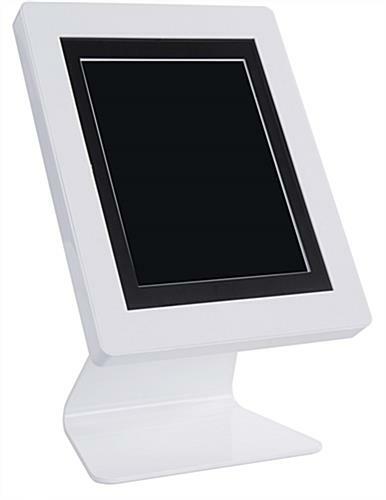 This countertop touchscreen holder is made for use on business desktops and in retail displays. 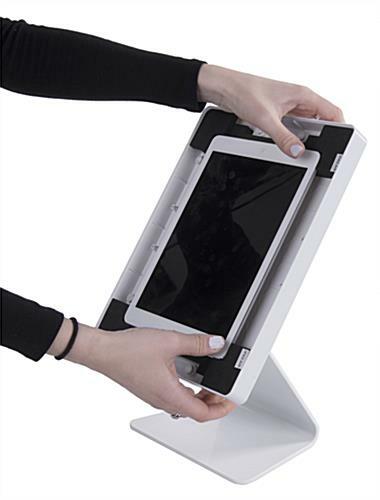 The tablet kiosk display is easy to assemble and attaches to the tops of tables with included adhesive dots. The touchscreen holder with a built-in slot for a Kensington Lock becomes even more secure if a cable lock is employed. 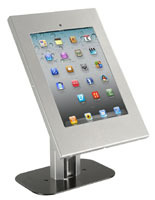 The iPad display is a top-quality retail mount that will accommodate both vertical and horizontal presentations. 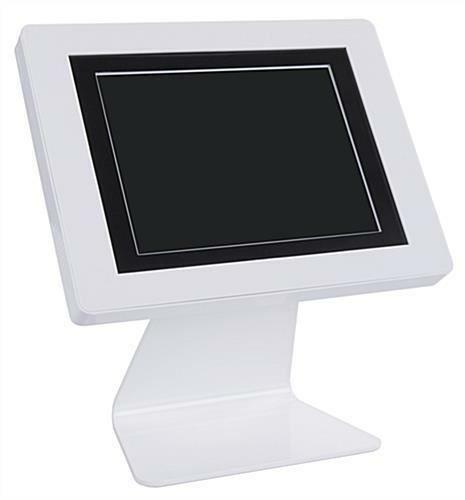 The holder is a white-colored kiosk to be easily seen by customers while still coordinating with many different styles of interior decoration. 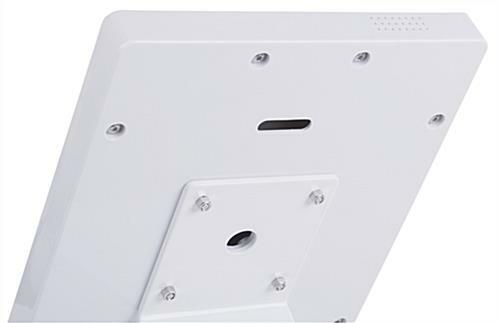 There is an opening in the back of the iPad mount that will allow a charging cable to be placed to constantly power the electronic device. 12.0" x 13.5" x 7.5"